Jean Barbizet began his career in 1977 at Banque Vernes et Commerciale de Paris (BVCP). In 2001, he joined the U.B.A.F. (Union of Arab and French Banks) to create their Corporate Finance department. He joined the Barclays Group in 1987, managing various departments over the years, including Real Estate (1990), Corporate (1994), and the head office of Barclays Capital (1999). A board member of several subsidiaries of the Group, he was chairman of Barclays Capital SA, Barclays Bail SA, and vice-chairman of Barclays Private Equity. He resigned his executive functions in 2012, becoming Senior Advisor to Barclays France. In March 2015, Jean Barbizet joined ANZ (Australia New Zealand Banking Group), to manage their French subsidiary. His whole career was spent with the Banques Populaires network, including twenty-three years with the Group’s Enterprise Head Office, giving him wide experience of governance in Management Boards from CAC 40 companies to unlisted ones. Chairman of the Investment Committee of Banque Populaire Développement for many years, now retired, Jean CRITON puts some of his spare time at the disposal of NAXICAP Partners, since early 2012. 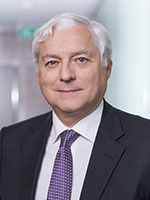 Vincent LARDOUX joined BFCE in 1974 as a Corporate Banker. He held various posts in Paris, the Paris region and elsewhere in France. In 1990, he transferred to the ‘Equity’ division of the Group, now NATIXIS. He became a Managing Partner then a Board Member of N.I. Partners, managing the capital risk company SCR Natixis Investissement. 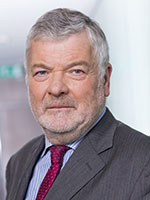 He is a trade-representative Judge at the Commercial Court of Nanterre since 2010, and a member of Investment Committees, Strategy and Management Boards of E.T.I. 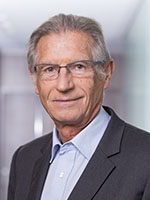 Jean RENUCCI began his career in 1986 with Banque Française du Commerce Extérieur as a merchant banker. Later on, he participated in the launch of the real estate department and its operating structure which he developed until 2000. After that date, he was a founding partner in a real estate investment structure, working mainly in Paris and the Paris region, which he developed both by internal and external growth (various LBOs, including that of the company Edmond Coignet). 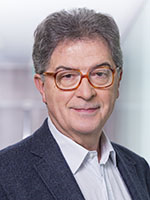 After starting his career in 1982 at Banque Vernes et Commerciale de Paris (now San Paolo) as a Financial Analyst for two years, then as Portfolio Manager from 1984, Dominique Sabassier joined the Banque Populaire group in 1991. He was Share Management and Financial Analysis Manager of the head office of Banques Populaires (now Natixis) then Director of Shares and Diversified Investments Management when Natexis Asset Management was created in 1998. In 2006, he was appointed Deputy Managing Director of Natexis Asset Management in charge of asset management, and occupied that position until mid 2010. After that, he was put in charge of developing the Private Equity sector in the Savings Division of Natixis and became a member of the Executive Committee of the Savings Division. He was appointed Chief Officer of Natixis Private Equity in February 2013. 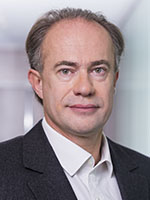 Dominique Sabassier has over 28 years of experience in asset management, of which over 20 in the Banque Populaire Group. André SAMIER started his career in a crop protection multinational. Over 15 years, he held every possible position in the Sales department. He then joined De Sangosse in Agen as Sales Manager (1985). 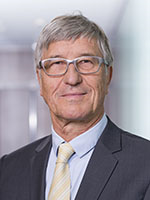 He became CEO in 1994 and then Chairman of the Supervisory Board in 2009. De Sangosse is a leading agro-supplies company (600 employees and €250 million turnover). It has had two LBOs. During this period, in 2000, André SAMIER became a Board Member of BPOC (Banque Populaire Occitane). This is one of the largest regional ‘Banques Populaires’ (€350 million of net banking income). He became Chaiman of the Board in 2010. He is also Chairman of the Board of Banque Populaire Développement SCR, a capital-risk company owned by the regional ‘Banques Populaires’ and Natixis. 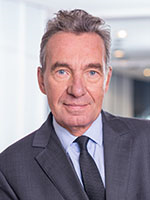 André SAMIER is a member of the Investment Committee of Multi-Croissance (an unlisted investment vehicle of BPOC) and of the Board of Directors of Natixis Lease. Jean-Paul VILLOT’s career has been mainly in computing and office equipment, first with Bull in France, then in Mexico and Iraq. At Schlumberger, he managed successively several sales networks and divisions. From 1992 to 1995, based in the Netherlands, he was one of the two Managing Directors of OCE Group. Lastly, from 1995 to 2007 he was Chief Executive Officer of Néopost. Jean-Paul Villot is currently a Board Member of various companies. He plays an active role in several Private Equity funds (Fadiese, Xange, AtriA, NAXICAP Partners), and has invested personally in various start-ups.